They blame others for holding them back or standing in their way, and give up at the slightest hint of opposition. Still others refuse even to start. Madam C.J. Walker, an African American entrepreneur and first self-made woman millionaire, lived in a time when opportunities were slim indeed. Being Black and a woman, she had any number of “strikes” against her, yet she absolutely refused to allow herself to become boxed in by her ethnicity, circumstances or gender. Craving an opportunity? Need a start? Then take a page from Madame Walker’s book and give yourself a start. Don’t wait for an opportunity to happen – you make it happen! 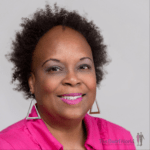 If you’re a woman entrepreneur and you’re looking for a supportive community of accomplished, like-minded women, look no further than a special Facebook group formed by Michelle Y. Talbert of the Her Power Hustle website and podcast. I’m in Sister Power Hustlers and I LOVE IT. Come join us on the path to success! Join in the Fray: What opportunities will you create for yourself this week? Copyright ©2015 Michelle Matthews Calloway, ASwirlGirl™, The Swirl World™, The Swirl World Podcast™, The Swirl World Inspiration Daily™, Swirl Nation™, All rights reserved. 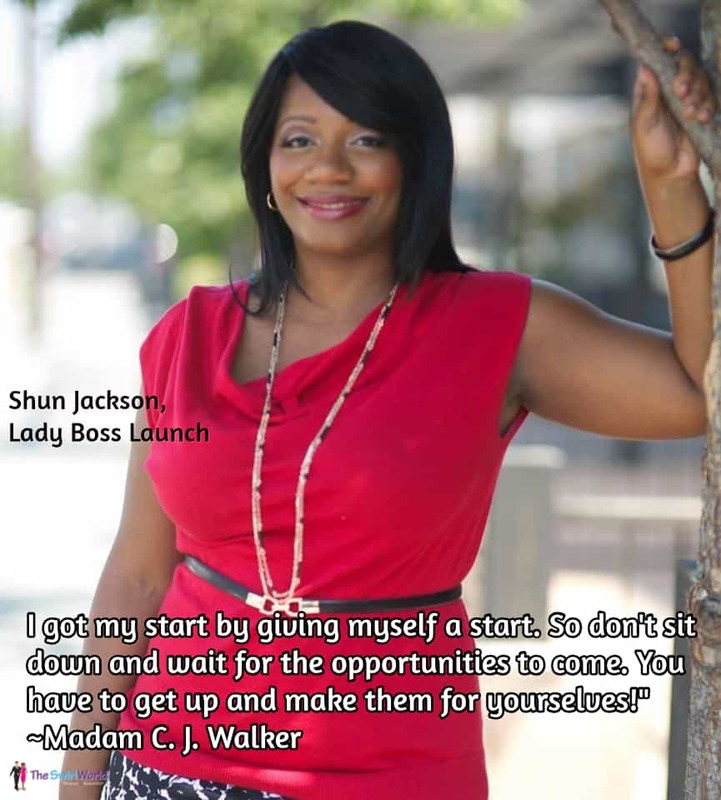 Photo of today’s featured model, entrepreneur Shun Jackson of Lady Boss Launch is used with permission.